Great review! 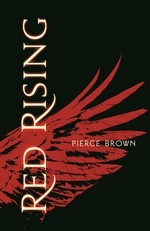 I agree totally with your thoughts on Red Rising > Hunger Games. I prefer to compare it to Divergent in a few ways (at least I did on my own blog :-P) – but it really doesn’t need the comparisons because it’s a fantastic book on its own! Cheers!